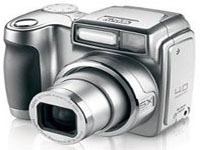 Kodak EasyShare Z700 Zoom Digital Camera Software Driver and Firmware for Operating Systems. This firmware version provides the following improvements: video capture; camera operation in temperatures above 95ºF (35ºC). , and filed under Digital Camera and tagged easyshare z700 firmware, kodak z700 download, kodak z700 driver, kodak z700 firmware, kodak z700 software, z700.